Desperate councils across the country are being “ripped off” by private landlords, who are taking advantage of the growing homeless population, according to a new study. New figures reveal that local authorities’ spending on temporary accommodation has soared to almost £1 billion. Analysis by the Guardian and housing charity Shelter found that councils across England spent £997m on temporary accommodation in 2017-18, which is up by 71% on the £584m spent in 2012-13. Some councils are spending as much as £200 per head on sheltering homeless households in their areas. Housing policy experts said that the sharp rise in homelessness, coupled with higher charges from private landlords, were behind the increase. The number of homeless households in England living in temporary accommodation has risen by 47% in the past five years, according to official data. At the end of June 2018, there were 82,310 families in temporary housing, which is up from 55,840 in June 2013. In a demonstration of the extent of London’s housing crisis, all 32 boroughs in the capital appeared among the top 45 local authorities with the highest per capita spend on temporary accommodation. Around 55,000 London households are living in temporary accommodation, and almost 70% of England’s homeless families are based in the capital. Only about 6% of London’s private rental market is available to families relying on housing benefit. Most London councils rely on small private landlords to provide their temporary accommodation. 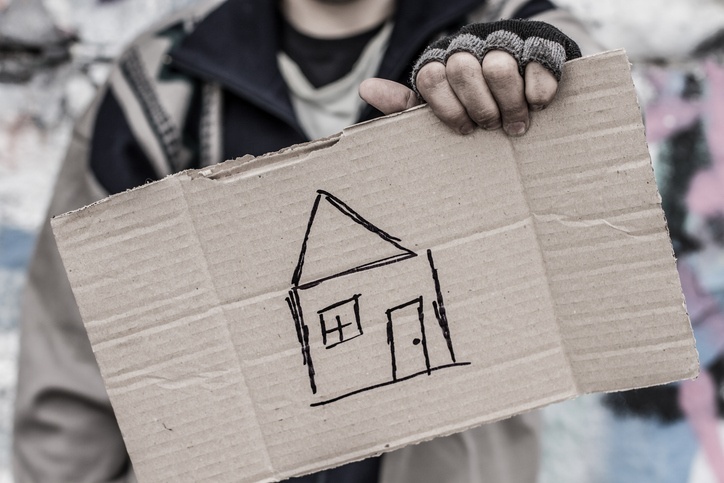 In many cases, landlords can make more profit from accommodation at the bottom end of the market, if it is let to councils for homeless households. Councillor Darren Rodwell, the London Councils Executive Member for Housing and Planning, said that the cost of securing suitable accommodation for homeless households was growing and the situation was unsustainable. According to a list compiled using Government statistics, Hackney spent the most per head of its population (£208) on temporary accommodation, which is more than ten times the national average of £18. While Kensington and Chelsea did not record its spending on temporary accommodation with central Government, a spokesperson said that the council spent £34.35m in the last financial year, which is an equivalent of £218 per capita. That figure does not include spending on housing for the families living in Grenfell Tower. Among the non-London councils to reach the top 45 were Luton, which spent £77 per capita, Brighton and Hove (£76), and Milton Keynes (£38). Manchester and Peterborough were the first areas outside of the South East to appear in the list, at £30 and £22 respectively. Birmingham came in at 42nd place, spending £20 per head on temporary accommodation. Greg Beales, the Campaign Director for Shelter, said: “Long queues of homeless families pleading with councils for help and a billion pounds spent on temporary accommodation are just some of the unwanted consequences of welfare cuts, rising rents and a failure to build social homes. The charity is preparing to publish its major post-Grenfell tragedy report into the future of social housing in England this month. Heather Wheeler MP, the Minister for Housing and Homelessness, said: “Having somewhere to stay and a place to call home is vital in helping those who are homeless rebuild their lives, and we are determined to make this a reality. The Guardian and Shelter looked at the rise in expenditure on temporary accommodation between 2012-13 and 2017-18. The analysis used Office for National Statistics population estimates to work out per capita spending for each local authority, in order to account for differences in population size.